One of the goals of the United Nations, published years ago in official reports, was to wipe out the cannabis plant from the face of the earth by the year 2010. In reality this is far from being achieved, because man keeps using the cannabis plant for religious, medicinal and recreational purposes no matter what the law says. Most cultures cannot comprehend how a plant can be made illegal. In most people’s perception, plants and animals stand above a status of legality or illegality, they just exist in a higher design of nature that goes beyond human laws and regulations. Nevertheless most governments of cannabis-producing countries are implementing drastic measures to destroy crops. Dangerous chemicals are sprayed over fields and over the farmers themselves in most of the third world countries, and the poorest people of the planet are the ones paying the highest price for cultivating a plant that does not kill. But in the economy of scale, where demand dictates supply, the poorest people of the planet have no choice but to cultivate cannabis as a cash crop to feed their children and send them to school. Communities that are isolated in remotes areas in the poorest regions of the planet are often the keepers of very special landraces. The worldwide prosecution on the cannabis plant generates the need to go hunting for the real landraces that are left in the most remote corners of the planet. These strains, isolated for decades and sometimes for centuries, costantly inbreeding, are at the origin of all the thousands of variations that we know today in the cannabis industry. In these landraces there are hundreds, maybe thousands of unique cannabinoid profiles that have never been evaluated by the pharmaceutical industry; nevertheless they could be of enormous help in the future, when the knowledge about the medicinal properties of the cannabis plant will advance further. One of these cannabinoid profiles could be hiding the next miracle drug for the treatment of very serious diseases. The concept of strain hunters stems from the need to preserve nature’s gifts to man, in a quest for a better future. Being a strain hunter is a personal challenge, a passion, and a way of life. Strain hunting is a very delicate task, one that involves social skills, a travelling-oriented mindframe and a pinch of crazy. Besides being physically fit, the strain hunter has to speak several languages, be able to blend and socialize in different environments, and has to be willing to commit to a lifestyle on the fast-lane. 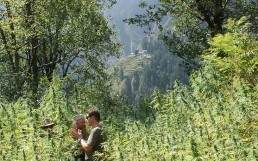 From the jungles of Africa and Asia to the mountain ranges of South America, the strain hunters are on a mission to bring back the most important and isolated cannabis landraces known to man. The logistical challenges involved in strain-hunting are quite considerable, but Arjan, owner and founder of the Green House empire, has been devoting a great deal of passion, time and resources to this task. After two decades spent strain hunting for the breeding programs of the Green House Seed Company, it is now time to show the world what the hunt is all about. Strain Hunters is a brand new series of documentaries, real-life reports of the search for the greatest lost cannabis strains, a deep insight in the typical “day at the office” of the most successful seed makers in the world. 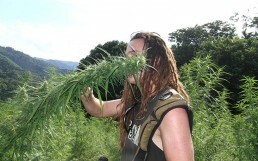 Strain Hunters on a mission to find the Malawi Gold, one of the ultimate landraces. Discover the hidden treasures deep inside the countryside of Malawi! We decided the time had come to go Strain Hunting in India, to discover the highest fields, the tastiest creams, and the holiest of mountains. In the 3rd Strain Hunters documentary, Arjan and Franco discover Morocco, country known for producing nearly half of the world’s hashish. Bigga, Shanti, Nampo and Taleban join Arjan and Franco for some crazy days Strain Hunting on the island famous for cannabis & reggae. Arjan, Franco, and Simon have joined forces with their new found Strain Hunter Dr. Green in Trinidad who later accompanies them to St. Vincent. Saint Vincent is a beatiful volcanic island in the Caribbean. 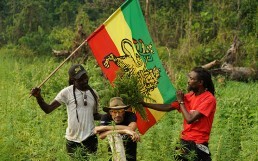 The Strain Hunters scale volcano’s, trek through jungles, to meet local cannabis farmers. Swaziland is a small country but produces very large amounts of cannabis considering the limited geographical extension it occupies. VICE joins Arjan and his crew in Colombia to look for three of the rarest types of weed, strains that have remained genetically pure for decades. 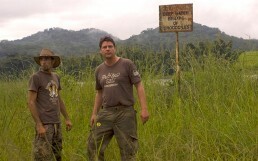 The hunters Arjan, Franco and Simon are back on the roads of Africa in DR Congo!! Difused on HBO with the colaboration of Vice. Our planet is home to millions of species of animal and plants with their own habitat, and each plays a unique role in the perfect design of nature. Unfortunately many species of plants and animals are victim of uncontrolled human development. The sole intent of Strain Hunters is to identify, locate and retrieve cannabis landraces that have not yet been studied, in order to give scientists and doctors the possibility to further enhance knowledge of the cannabis plant in the medicinal field. The worldwide prosecution of the cannabis plant generates the need to go hunting for the real landraces that are left in the most remote corners of the planet. These strains, isolated for decades and sometimes for centuries, constantly inbreeding, are at the origin of all the thousands of variations that we know today in the cannabis industry. Many previously unknown cannabinoid profiles are contained in cannabis landraces originating from areas where there is no possibility of scientific research. Strain Hunters is a series of documentaries aimed at informing the general public about the quest for the preservation of the cannabis plant in the form of particularly vulnerable landraces originating in the poorest areas of the planet. The sole intent of Strain Hunters is to identify, locate and retrieve cannabis landraces that have not yet been studied, in order to give scientists and doctors the possibility to further enhance knowledge of the cannabis plant in the medicinal field.